The John Clare Society of North America organizes an annual session at the Modern Language Association Convention. The next MLA Convention will be held in Seattle, January 9-12, 2020. The John Clare Society of North America invites proposals for its guaranteed session at the Modern Language Association Convention in Seattle, 9-12 January 2020. Title of session: "John Clare: Conversations in Song." Scholarship on any aspect of song, music, or conversation in Clare. Papers might touch on personification, voice and its relation to print, and/or Clare's way of relating to the non-human world. Please submit an abstract and short bio by 10 March 2019 to Erica McAlpine (erica.mcalpine@ell.ox.ac.uk). Individuals who plan to attend academic sessions at the MLA Convention must register for the convention in advance. 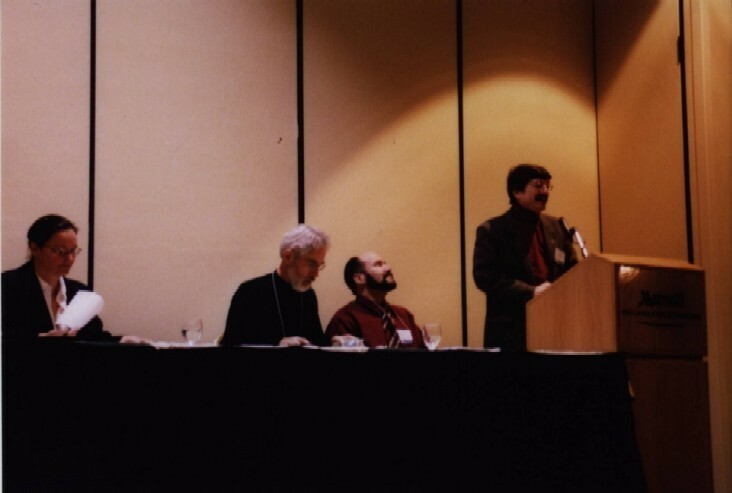 MLA session organized by the John Clare Society of North America in 2004.